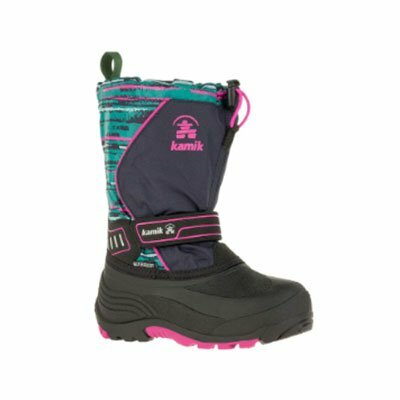 They’ll coast through the season with dry feet in our Kamik Snowcoast P girl’s winter boots. Featuring a seam-sealed waterproof construction. 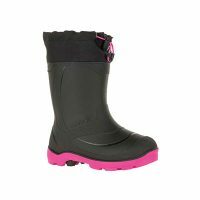 The adjustable weather collar keeps out the snow, while the lightweight rubber outsoles offer excellent traction for dragging the toboggan up the hill. Featuring reflective NiteRays patches so it’s easier to spot them after dark. 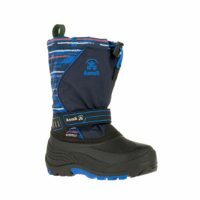 Cozy to -40°C.Our Zylex® liner keeps your feet warm, dry and comfortable for those who spend a lot of time in the snow. The three-layer system wicks moisture away, traps body heat in and keeps the cold air out. Made in Canada, where we know winter well. 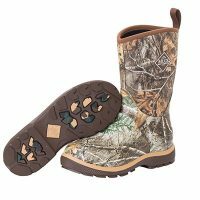 Our Waterproof seam-sealed boots are made to seal out snow and water.